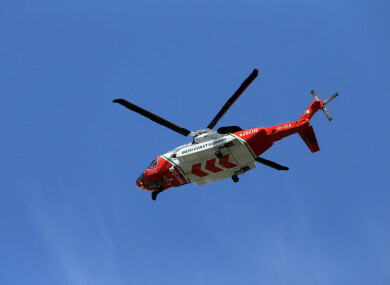 A SEARCH IS underway off the coast of Galway after a fisherman was reported missing last night. A fishing boat departed from the docks in Galway city at around 3pm yesterday evening. The Irish Coastguard was alerted at 9.45pm when the boat failed to return to shore. It is understood that one man was on board the boat. Galway and Aran Island lifeboats, Rescue 115 and the Costello Bay Coast Guard unit were dispatched on the search mission. The boat was recovered and brought back to shore. However, the man remains missing. The rescue crews have resumed a search of the area this morning. Email “Search underway for fisherman missing in Galway Bay”. Feedback on “Search underway for fisherman missing in Galway Bay”.